How do you get Amazon feedback as a new seller with little to no feedback? How to automatically add-to-cart an item from one of Amazon’s many sellers. This video reveals how to win the Amazon Buy Box, and how to become a Amazon Feedback Seller. Learn How to Make $10,000/month by Dropshipping. There are 4-steps. One of the best ways to attract buyers to your Amazon listings. You have to build a strong history of positive feedback. But it’s a catch-22, because to get positive feedback, you need sales. So, how do you get Amazon feedback as a new seller with little to no feedback? 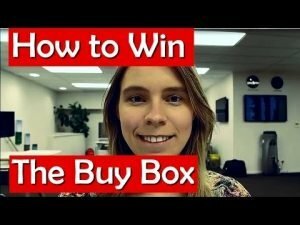 The answer is simple: learn how to win the Amazon Buy Box. The Amazon Buy Box is the little “Add to Cart” button on a product listing. When you click this button, you’ll automatically add-to-cart an item from one of Amazon’s many sellers. Amazon has a secret algorithm which determines which seller they feature in this Buy Box. Then it rotates eligible sellers to give them their share of the Buy Box time. A lot of people don’t know how to win the Amazon Buy Box. And assume they don’t meet the criteria to be an eligible seller, but this isn’t true. It is a lot easier than you might think. The four criterias you need to meet: 1) Your account needs to be active & good standing. 2) You need to have the item in stock. 3). Amazon.com needs to not be selling the item themselves (this is separate from Amazon FBA) 4). You need to price competitively (within 1-2% of the price). If you know how to win the Amazon buy box as a new seller without feedback. This will be a big advantage, because Amazon doesn’t reveal how much feedback their Buy Box sellers have. You can then gain additional feedback from these sales and build up your online seller authority and profile. This is important because even if you know how to win the Amazon Buy Box, you won’t always win it, and 20-30% of sales are made without it. Strong feedback will help you attract those buyers. Need help on how to win the Amazon Buy Box and become a Amazon Feedback Seller. I’ve got some sneaky strategies you can use. Strategy #1: Be one of the only Amazon FBA sellers for an item Amazon prioritizes Amazon FBA over other sellers. They do this for two reasons. The first is that they obviously want to promote their FBA program as it makes them money and they want to encourage sellers to fulfil orders through them. But secondly, they prioritize it because the truth is that Amazon are excellent at fulfilling orders and providing the customer with a positive buying experience. And if the customer has a positive experience, they’ll keep coming back to Amazon… making them more money. So ultimately, it makes sense for Amazon to promote Amazon FBA sellers. You can use this to your advantage and find an item with an Amazon Best Sellers Rank less than 25,000 with 5 or less Amazon FBA sellers. Become an FBA seller for this item and price your item for the same price as the lowest-priced Amazon FBA competitor. You will then share the Buy Box time with them and make sales. Strategy #2: Price your non-FBA item way below other Amazon FBA sellers If you can’t sell an item via Amazon FBA, then you’re going to be at a disadvantage. Amazon don’t only promote FBA sellers, but they do prioritize them. However: The big exception to this is on listings where the non-FBA seller is priced very, very competitively against the FBA seller. For example, in the video, I reveal an item where the FBA seller is priced more than 20% higher than the non-FBA seller. Because of this, Amazon has given the seller who is privately fulfilling the order their share of the Amazon Buy Box time. And the great news is you often can afford to do this as a private seller, because you don’t have to pay the additional Amazon FBA fees. This means you can afford to list your items for a lower price. When selling items for the purpose of increasing your feedback score, don’t worry about making a big profit: It is an investment into your future and it will help you make sales for other items that have higher profit margins because you’ll be increasing your seller profile and authority. These tips should help you learn how to win the Amazon buy box, and become a Amazon Feedback Seller. Want even more advice on how to start your own Amazon business? Then be sure to download our free ebook: How to Make $10,000/month by Dropshipping.